Tower Lifts are delighted to be working in conjunction with Decorean, on their Providence Park development, in Hook, Hampshire. The £27m project is set to become one of the UK’s largest office to residential developments in a business park to date. The 84,000 sq ft Bartley Wood Business Park in will be transformed into 107 one and two bedroom apartments set over three floors. Tower Lifts will be refurbishing 3 existing hydraulic passenger lifts to fit in with the aesthetic of the conversion, as well as to provide safe and reliable access to residents on all floors. Tower Lifts can assist you with all of your passenger lift refurbishment requirements, eliminating the need to replace complete units and saving you thousands of pounds in potentially expensive building works. Whether you are looking for a bespoke lift system, require lift maintenance on an existing installation or would like to speak to us about our comprehensive lift service packages, call or e-mail our customer service team today to discuss your requirements. Residents or visitors to a building with a lift system, benefit from the flexibility to move freely and safely between floors at any time. Whilst a shrewd architect can design the most spectacular of staircases, having a lift in a building adds a sense of opulence, and offers a wealth of practical features. If your existing lifts are looking a bit sorry for themselves, passenger lift refurbishments by Tower Lifts can bring your lifts back to life. Ensuring that your lifts are always in full working order, as well as being presentable on the inside, makes for a comfortable and practical way to traverse between floors. If, however, the lifts in your building are often out of service, subject to regular failures or are looking tired or unkempt on the inside, they would definitely benefit from a passenger lift refurbishment by our team at Tower Lifts. 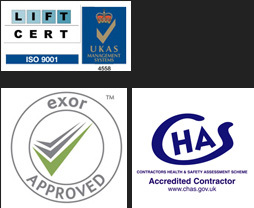 Here at Tower Lifts, we have an established reputation as being specialists in the expert refurbishment, servicing and fitting of passenger lifts. From a complete lift installation to the replacement of integral components like controllers and door operators, our modernisation and refurbishment services can help to extend the working life of your lifts. With more than 15 years’ experience of successfully refurbishing and modernising passenger lifts, we know how to breathe new life into tired and failing units. Our team will take into account all of the aesthetic details of your building’s interior and refurbish your lifts to suit their surroundings perfectly. We can refurbish a passenger lift to bring it back to an “as new” condition. We will replace worn out components and make sure the lift is fully functioning once again. Replacing lifts is an expensive option, and a repair and refurbishment project can work just as well in the vast majority of buildings. Lift shafts, pulley systems and motors can all be subject to damage over time. Here at Tower Lifts, our highly skilled lift specialists can restore your lifts to their original working order. If you require a Passenger Lift Refurbishment, we have a team of experts ready and willing to refurbish any type of passenger lift! The Lift interior can be very simple inside or highly decorative in its design. Depending on the age and type of building it is used in, upgrading and renovating the internal areas of the lift can bring a modern touch to even the oldest of lifts. Renovating lift interior lining is a cost-effective alternative to replacing entire lifts. Old timber panels, for example, can be replaced with fabricated metal ones, whilst new buttons, indicators and lighting can add a much more up to date feel throughout the internal area of the lift. The doors on your lifts should also function well and be problem free to ensure safe passage. You may need to have whole lift doors replaced, or just the door skins to bring the appearance of the lift in line with the rest of the building.